As of June 2009, I don’t have much rolling stock. I have several freight cars. These are mostly old Bachmann and Buddy L cars which I fixed up. I added metal wheels, body-mounted Kadee Gauge #1 couplers, and a few other details. I painted and weathered the cars, which improved their appearance tremendously. 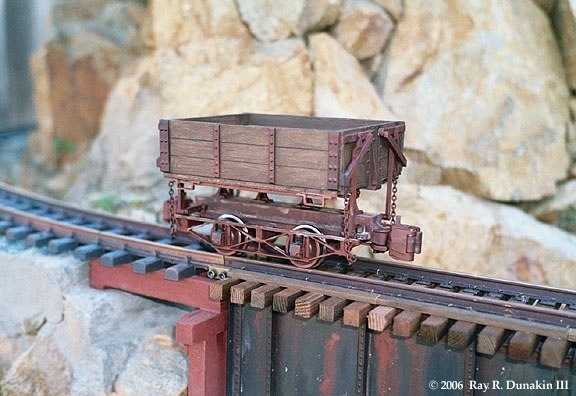 Below: This boxcar is from Aristo-craft, and is really nice with good detail. I repainted and weathered it. I still haven’t gotten around to adding the herald and lettering for my railroad. 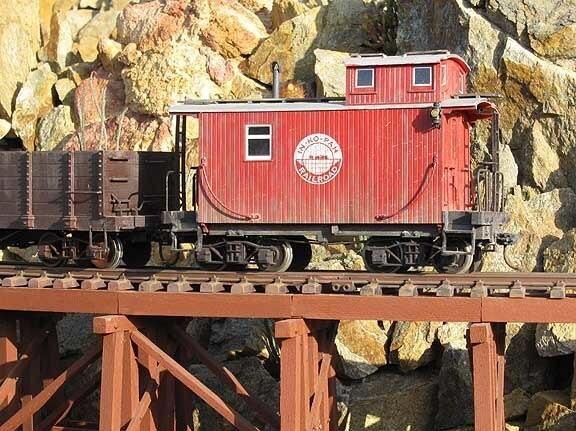 Below: I repainted and weathered this LGB caboose. I also converted it to body-mounted, Kadee Gauge #1 couplers, and replaced the marker lamps with castings from Ozark Miniatures. The lamps and interior are lighted with warm-white LEDs, running off a pair of AAA batteries. I still need to replace the ladders and maybe make a few other small changes. 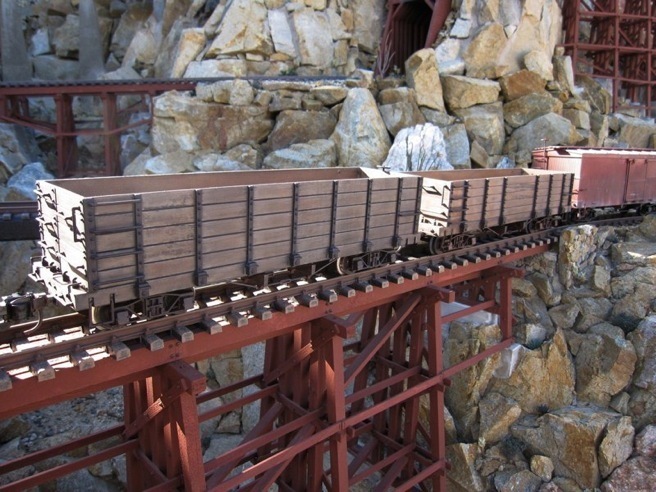 Below: This is one of several Bachmann side-dump ore cars. I repainted and weathered it. 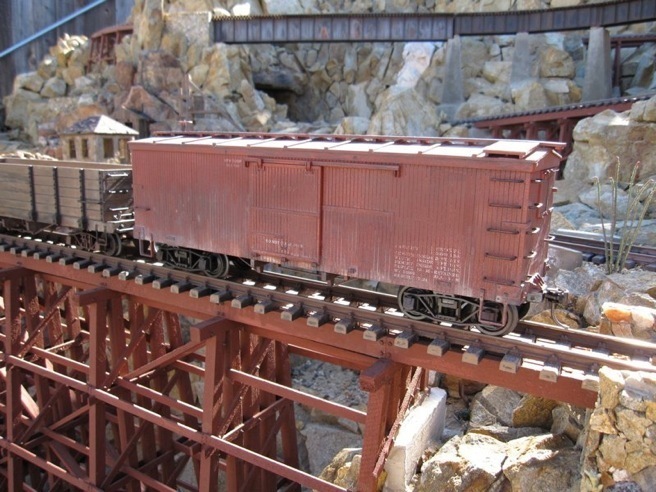 They still have the oversized Bachmann couplers. Eventually I’ll replace the couplers. For passenger equipment, I have a stock Bachmann coach, and a matching combine which is currently in pieces. I intend to repaint them both and letter them for my railroad. I also have some small four-wheel cars from an LGB Christmas set. I plan to turn those into open-air excursion cars. The contents of this entire site are property of Ray R. Dunakin III except where noted, and may not be used without permission.